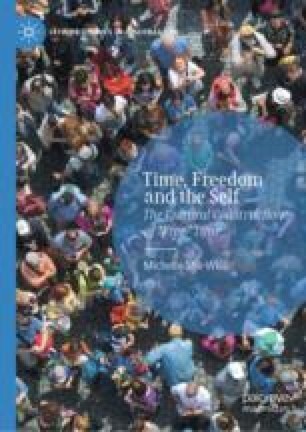 This chapter examines consumption in free time, investigating various practices and what motivates participants to perform them. The first section, “The Commercialization of Free Time”, looks at practices, such as, shopping or outings, focusing, not only on what participants do, but also on how they feel about the different types of consumption. While a large proportion of free time activities involved the consumption of services linked to self-improvement, such as sport clubs or spiritual coachers, others involved hedonic pleasures provided by spas, restaurants or other services. The second part of the chapter “Media and Free Time,” looks into the consumption of media. It investigates the subjective experience of media practices as a dominant part of daily routine, revealing participants’ motives and paradoxical evaluations. Media use emerged as ambivalent, with practices being positively experienced while, at the same time being evaluated negatively, and perceived as requiring resistive measures. American Time Use Survey (ATUS). 2018. American Time Use Survey Summary. Bureau of Labor Statistics. https://www.bls.gov/news.release/atus.nr0.htm. Accessed Oct 2018. Hampton, Keith, Lee Rainie, Weixu Lu, Inyoung Shin, and Kristen Purcell. 2015. Social Media and the Cost of Caring. Pew Research Centre. http://www.pewinternet.org/2015/01/15/social-media-and-stress/. Accessed May 2015. Statista. 2016. Average Daily TV Viewing Time Per Person in Selected Countries Worldwide in 2016. https://www.statista.com/statistics/276748/average-daily-tv-viewing-time-per-person-in-selected-countries/. Accessed May 2017.